Just want to thank Carrie, Jeff and the team at BCS Engineering for doing a custom mod that I thought was going to be a very costly and drawn out. Jeff did a great job in an hour! This isn't the first time I've used them. Every time I've needed a "little extra" they were right there with a solution. Do you have a product catalog you'd like your customers to be able to quick order from? 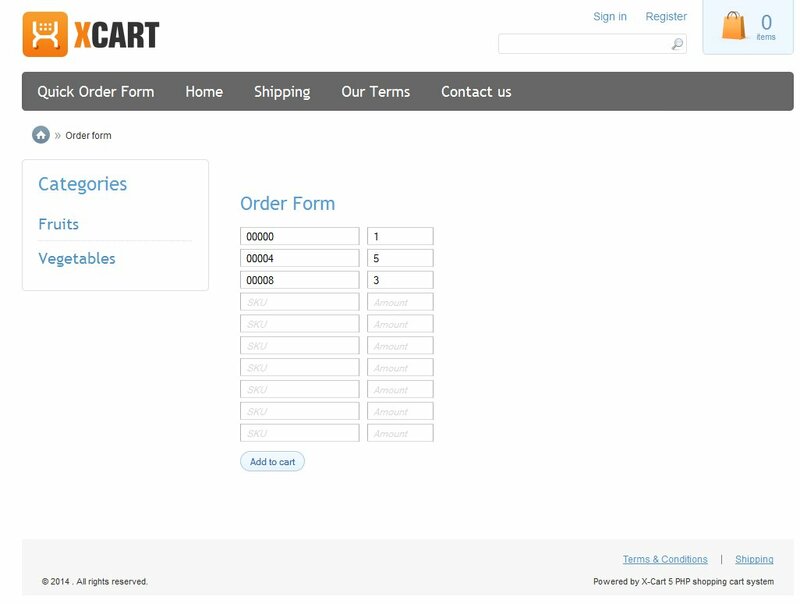 Our Catalog Order / Quick Order form for X-cart may be for you! 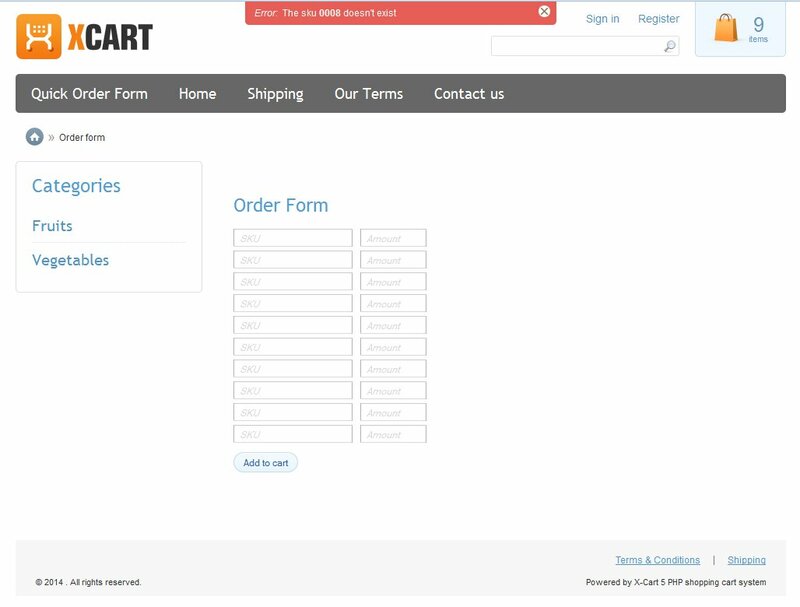 Allow your customers to quickly order products by entering the SKU / Product Code and quantity for many products and add them all at once to their cart! Any errors in product code entry or not enough stock is clearly shown to the customer! Allows customer to order products by SKU / Product Code. 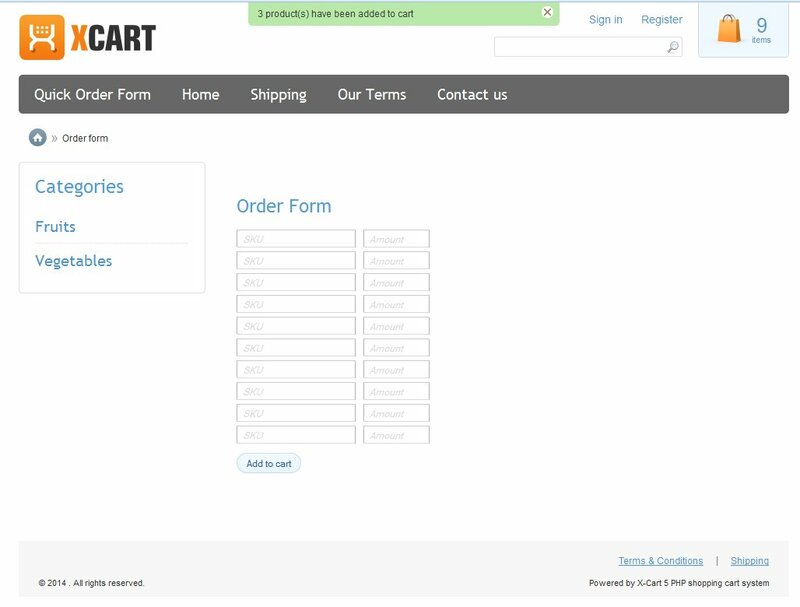 Users can order many different products all at once through multiple order forms. If there is an error in one of the SKU / Product Code entries, an error is displayed to the customer describing the issue. The other SKU's /Product Codes that do not have errors are processed and added to the cart and a notice is displayed accordinly. If there is not enough of the product requested, then the amount available is displayed in the quantity box for that product, with an error notice indicating there is not enough stock for the amount requested. The other SKU's /Product Codes that do not have errors are processed and added to the cart and a notice is displayed accordingly. 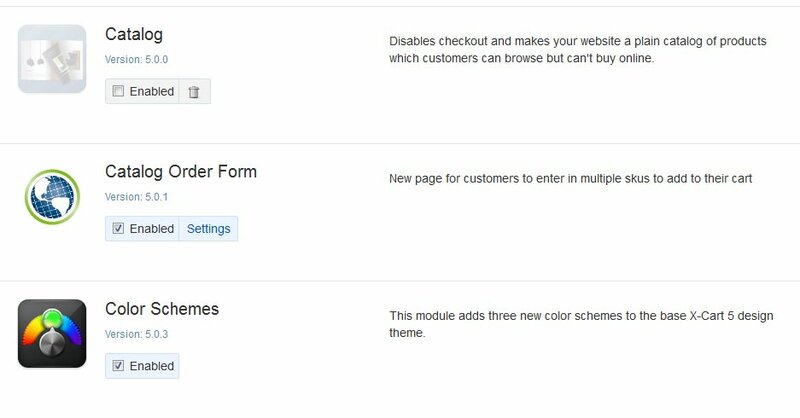 Choose the amount of product entry forms you wish your customer to see.